This book was so good. I was sucked in right at the very beginning. When Bud and his buddy Mick decide to add a "third" person to their heist in their hometown, things only go wrong. Which reminded them why they never hit in the place they lived. It was interesting to see how things connected. It was great. Bud I liked from the very beginning. Yes, he is a bank robber, but he's a nice bank robber..hehe. He seems to be a nice guy (aside from being a thief). It's so hard to like a guy you know is doing the wrong things, but he is a pretty likable guy :). His friend Mick on the other hand was such a tool. He made me so mad the whole time. None of them would be in the mess they were in if Bud had the balls to stand up to Mick. Their "third" person Johnny was dumber than dumb can be, and only caused problems. So frustrating to read. I guess that is part of what kept me reading. When the heist is done that is when life gets really exciting for these three men. More thugs are introduced and its interesting to see how they all connect. There were times when I was like "whaaat". I love it when a book does that to me. I don't want to give anything away, but this is a great read. It's interesting, exciting, and action packed. When you get involved with robbing banks, and Casinos, the whole world gets interesting. This book brings real meaning to "don't poop where you eat"..hehe. sorry for the description..hehehe. There are so many great characters in this book. The author did a great job of making me "feel" what was going on in the book. I found myself holding my breath at a few points in the book. I kind of laugh at myself when that happens. My husband always tells me "it's just a book". Ya, well when a book can do that to me it makes me happy. I really enjoyed the writing. Content: There is language in this book. I have a hard time saying that sometimes, because what I think is a lot of language is very different from what other people think. Source: I received this book from Random House Publishing-Alibi and Netgalley in return for an honest review. I was not compensated in any way for this review. These are my own PERSONAL thoughts on the book. STEVE BREWER is the author of more than 20 books, including the recent crime novels A BOX OF PANDORAS, PARTY DOLL, LOST VEGAS and CALABAMA. His first novel, LONELY STREET, was made into an independent Hollywood comedy starring Robert Patrick, Jay Mohr and Joe Mantegna. 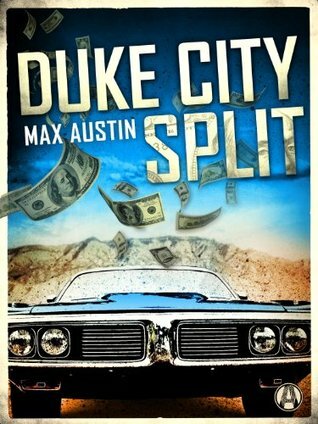 Under his new pen name Max Austin, Brewer is writing a series of hard-boiled crime stories set in Albuquerque, NM. 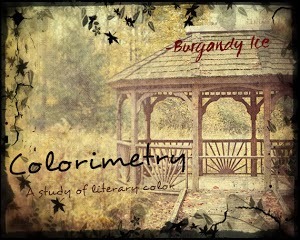 The first, DUKE CITY SPLIT, will be published by Alibi/Random House in April 2014. 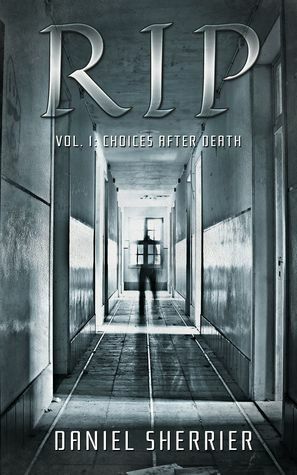 Brewer's short fiction appeared in the anthologies DAMN NEAR DEAD, THE LAST NOEL and CRIMES BY MOONLIGHT, and he's published articles in magazines such as Mystery Scene, Crimespree and Mystery Readers' Journal. Brewer has taught at the University of New Mexico, the Midwest Writers Workshop and the Tony Hillerman Writers Seminar. He regularly speaks at mystery conventions, and was toastmaster at Left Coast Crime in Santa Fe, NM, in 2011. He served two years on the national board of Mystery Writers of America, and twice served as an Edgar Awards judge. He's also a member of International Thriller Writers and SouthWest Writers. A graduate of the University of Arkansas-Little Rock, Brewer worked as a daily journalist for 22 years, then wrote a syndicated weekly column for another decade. The column, called The Home Front, produced the raw material for his humor book TROPHY HUSBAND. Married and the father of two adult sons, Brewer lives in Albuquerque, NM. 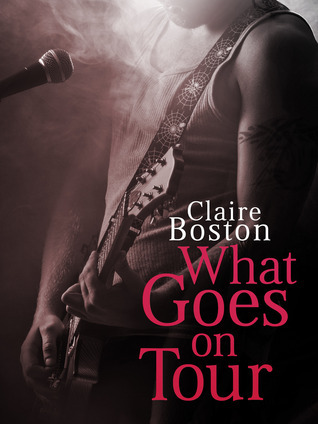 What Goes on Tour is single title novel and the idea hooked me right from the beginning. I liked the thought of writing about a rock star who wasn’t like the normal party hard singer with a full entourage that you see in many novels and TV shows these days. One of my favourite scenes is probably the dancing game scene because I had a lot of fun writing it. 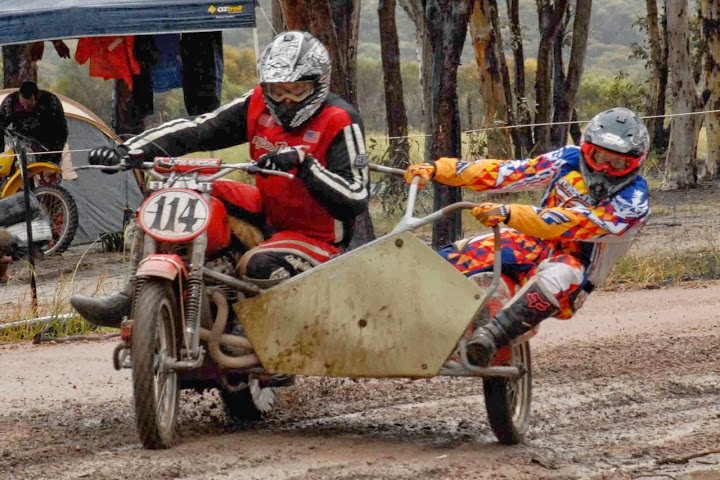 Something unique about me… I’ve recently taken up vintage motocross and I’m the passenger on a sidecar. I’ve attached a photo because people often think that a sidecar passenger just sits on the side but it’s a lot more work than that! I started reading this book last night. I was sitting in my house around midnight, it was dark and the first few pages scared the jeepers out of me. So, I was SUPER excited. Growing up there was a window at the top of our stairs, and I always was afraid I would see someone standing outside the window. Well....Rip experiences this kind of thing in the very beginning. His is even more creepy to me though. A dark basement, and then BAM something is in front of him. I had to turn my lights on while I read :). I wish the book would have kept up the "scary" for me. I LOVE scary. It turned out to be quite a hilarious read actually. Rip's one of the "Seven" on earth who are here to send "ghosts" back to heaven or Hell. Serissa is ghost assigned to Rip to help him fight the ghosts. She is a crack up. Kalli is his friend that is a girl, that seems to be there for him at all times. I do think it was a little unrealistic when Rip told Kalli about what he does for her to just "accept" it right away. It worked, but it seemed a bit fast. Then Rip asks her out right after a fight with a ghost. It seemed a little out of place. I do wish that there was more "love" story between Rip and Kalli, but the story worked. I still don't quite understand how the ghosts were able to hurt Rip, but I did like how the "feelings" came into it. Some of the ghosts could bring on "good" feelings like Serissa and some of them brought on feelings of "fear". It was interesting. People couldn't see them, but they could see the after math of what the ghosts were making the people see. Made them look a little crazy. It was interesting. I liked how Kalli couldn't "see" the ghosts but she was willing to help and could "feel" Serissa. She could tell if it was a good or a bad ghost by the feelings she was having. I like how she seemed to be connected without actually being connected. I would have found it quite entertaining to see some guy talking to himself all the time. It seems that Rip was doing that quite often because no one else can see the ghosts. The pulling out of his phone and talking was quite clever :). I found this book to be quite entertaining. Not at all what I expected it to be. Especially after reading the first few pages. I thought I was in for a "scary" ride. I would have loved that, but this turned out pretty good. It's such a different take on ghosts than I have read before. Source: I was given this book by the Author in return for an honest review. 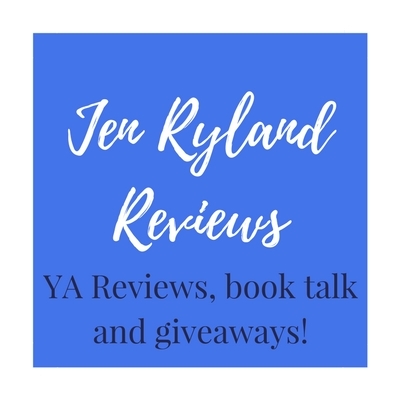 I was not compensated in any way for this review, and these are my own PERSONAL thoughts on the book. Lauren Wilson is well on her way to her happily-ever-after. She has a career she loves, a husband she adores and a baby on the way, but a devastating diagnosis changes everything. The life she's built suddenly crumbles around her when her husband insists she choose—the baby or him. Returning to her small hometown to rebuild her shattered life, Lauren crosses paths with Ethan Campbell, the man who stole her teenage heart. The old attraction is still there, but Lauren won't admit it to anyone—least of all herself. Her only priority is providing a life for her child, and she can't afford to get it wrong. Ethan is confusing everything, including stirring up feelings she’s not prepared to face. Will she spend her life raising her baby alone or is the family she's always wanted finally within her reach? This is such a sweet story. I enjoyed reading it so much. It also hit a little close to home on a few issues. Lauren is an amazing woman/character. 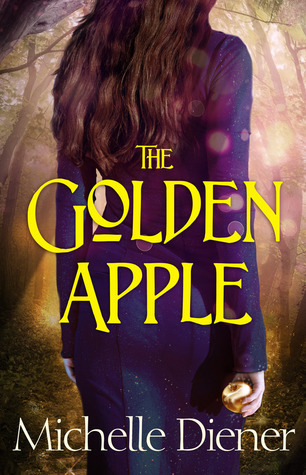 The author did a great job of making her so lovable and so beautiful. Paul, Lauren's husband is a jerk...I mean jerk of all jerks. I think the author did a great job of making him a jerk :). That sounds funny, but there always has to be someone you don't like right? I think so. Well Paul was my DO NOT LIKE in this book. He brought the meaning of "jerk" to a whole new light. When Lauren finds out she is pregnant she is so excited. She and Paul had been trying for two years, and had been unsuccessful. When she finds the positive lines on her pregnancy test she cannot wait to share the news with Paul. Soon after finding out she was pregnant she finds out that the baby will be born with a birth defect. Her looser husband cannot deal with it and wants her to terminate the pregnancy. When Lauren decides she cannot Paul leaves her. Seriously..PIG. Lauren moves back home with her mother and runs into an old crush she had in high school by the name of Ethan. Let's just say Ethan makes up for the jerk ex-husband. He is kind, and handsome and loving. He is just what every woman needs in a man :). I found this book a little hard to read at certain times. I had a very hard time getting pregnant, and reading her struggle, brought back a lot of memories. I ached for her, and she isn't even a "real" person. I also have a nephew with the same birth defect her baby has, and he is one of the most beautiful human beings alive. The fact that her husband leaves her because of it breaks my heart. Kids with downs are amazing children who are beautiful, and love unconditionally. They deserve all good things. Just like any child, but a child with special needs deserves just a little more love because life is hard for them. I thought the author did a great job of helping me feel the struggle Lauren was going through after she finds out about her baby. Raising a child with special needs is difficult, and takes a very special person to do it. When the option for termination came up, I thought I would throw my book. When is it ever okay to abort a child, just because they didn't turn out like you wanted them to. My heart ached. It really did. This book is such a beautiful book, about love, healing, kindness, friendship, and learning to do hard things. It was a clean, sweet book. The beauty of a special needs child is such a wonderful thing. Lauren is a beautiful character. I loved her family in this book. She had such a great support system. I know how important that is when you have a new born, special needs or not. This book is such a great example of unconditional love. I cannot even tell you how much I loved this book. It was just so sweet. It was heart breaking at times, but in the end it wraps up in a pretty little bow, which is what I ALWAYS want in a book. This author did not disappoint. The writing is beautiful. The story is beautiful. The characters are beautiful. This book is just plain good. Source: I received this book as part of a blog tour stop, in return for an honest review. I was not compensated in any way for my review. These are my own PERSONAL thoughts on the book. Although I believe it deserves more than five. This book touched me so deeply! It is just beautiful! Ethan stepped into the house. His black hair was a bit longer and his shoulders were broader since the last time Lauren saw him. He still easily earned the nickname of Adonis. Ethan smiled and said, “Hello,” as he strode across the room. Rebecca Lynn Talley grew up in the gorgeous seaside city of Santa Barbara, CA. She met, and married, her husband, Del, while attending Brigham Young University. She graduated from BYU with a degree in Communications. She currently lives in rural Colorado on a small ranch with a dog, too many cats to count, and a herd of goats. She and Del are the proud parents of ten wildly-creative, multi-talented children. 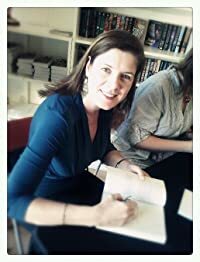 Rebecca is the author of a children’s picture book, Grasshopper Pie (WindRiver 2003), a children’s chapter book, Gabby’s Secret (DuBon Publishing 2011), four novels, Heaven Scent (CFI 2008), Altared Plans (CFI 2009), The Upside of Down (CFI 2011), and Aura (DuBon Publishing 2012). She has also authored numerous children’s stories and articles for both print and online magazines. When she isn’t writing, Rebecca loves to date her husband, play with her kids, swim in the ocean, and dance to disco music while she cleans the house. She has folded at least one million loads of laundry, baked hundreds of batches of chocolate chip cookies, and eaten 5,478 gallons of ice cream. 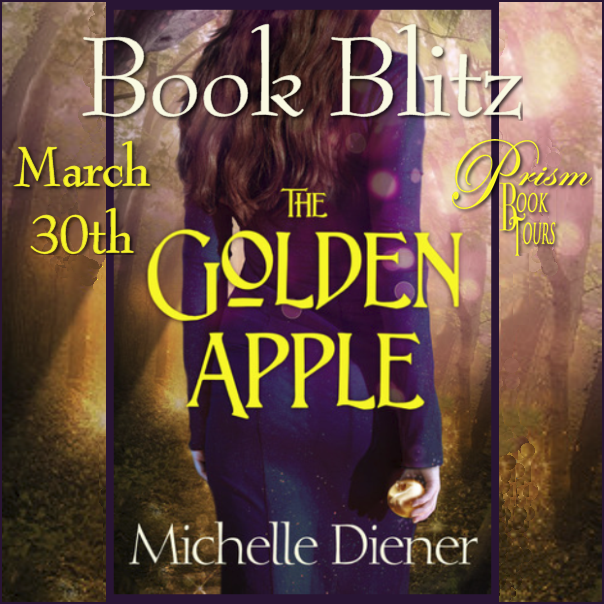 Blog Tour Giveaway Details $25 Amazon Gift Card or Paypal Cash Ends 4/10/14 Open only to those who can legally enter, receive and use an Amazon.com Gift Code or Paypal Cash. Winning Entry will be verified prior to prize being awarded. No purchase necessary. You must be 18 or older to enter or have your parent enter for you. The winner will be chosen by rafflecopter and announced here as well as emailed and will have 48 hours to respond or a new winner will be chosen. This giveaway is in no way associated with Facebook, Twitter, Rafflecopter or any other entity unless otherwise specified. The number of eligible entries received determines the odds of winning. Giveaway was organized by Kathy from I Am A Reader and sponsored by the authors. VOID WHERE PROHIBITED BY LAW. Owen Campbell holds himself apart from other people. Badly scarred from emotional wounds that have never healed, he doesn’t expect to find true love or happiness. He remains isolated in a prison of his own making, determined to not let anyone close enough to hurt him again. But his willpower is shaken to the core when Sarah Browning enters his world. Checking back over her shoulder after a few steps, Sarah frowned when the deer continued to mimic her path. Dismissing the incident as the curiosity of a wild young deer that hadn’t yet learned humans were the enemy, she let her mind drift. Before long, she heard the sound of water trickling rapidly over rocks, and as she rounded a curve, she saw a small stream curving through the mountainside. The branch of water cut into a shallow hollow, one side protected by a higher ledge of earth that was full of mountain laurel. Sarah stopped to take in the sight and drew in a cleansing breath. As she looked around, she realized the deer had followed her and stopped a short distance away. The bench of land it stood on converged with the deer path alongside the stream. If Sarah hadn’t known better, she would have sworn the deer wore a look of consternation. The animal bent its head to nibble at some greenery on the ground, but kept its eyes on her. It almost seemed to glance between her and the water, as though weighing the danger of coming closer for a drink. “Maybe if I turn away, you’ll feel bolder.” The deer path crossed the branch at a narrow point, and she decided to go a bit further. The water cascaded down a small waterfall above the narrow point, pooling in a shallow area that would be the perfect spot for a thirsty deer to get a cooling drink. Hopping across the water, Sarah followed the trail. To her surprise, the path didn’t continue to the flat bench on the other side of the small ridge, but climbed up and around the rocky outcropping. Curious, she climbed the incline. The sight took her breath away, and for a moment, she didn’t believe what was in front of her was real. The rocky outcropping the water cascaded down was a sort of natural dam. On its other side, a large pool of water had collected. Fifteen feet across and nearly that wide again going in the opposite direction, the pool was surrounded by sloping granite on all sides except the front, where the water dropped over the edge. The water was blue-green, going from light aqua to deeper cobalt, and the banks of rock and earth protected it on all sides. On the opposite side, a craggy granite cliff rose about ten feet out of the water, overhanging slightly to form a shallow cave. The mountain seemed to curve around the pool and, mesmerized, Sarah continued around, crossing the branch once more at a point above the pool. From there, she was able to climb on top of the granite boulder that created the cliff. Easing to the edge, she carefully sat down, her legs dangling over the side. When the curious deer appeared at the edge of the pool below, Sarah laughed. The deer gave a small jerk at the sound, eyeing her warily. “I’m sorry.” She felt utterly insane, carrying on a conversation with a deer, but it had followed her like a curious puppy. Sarah realized that keeping quiet would feel even more absurd. “It’s so beautiful here. I had no idea any place like this existed.” She looked around, noticing that the trees didn’t arch out over the pool the way she thought they would have. For a while, she just sat, braced back on her hands, her face lifted to the sky. The peace imbued in the place washed over her. 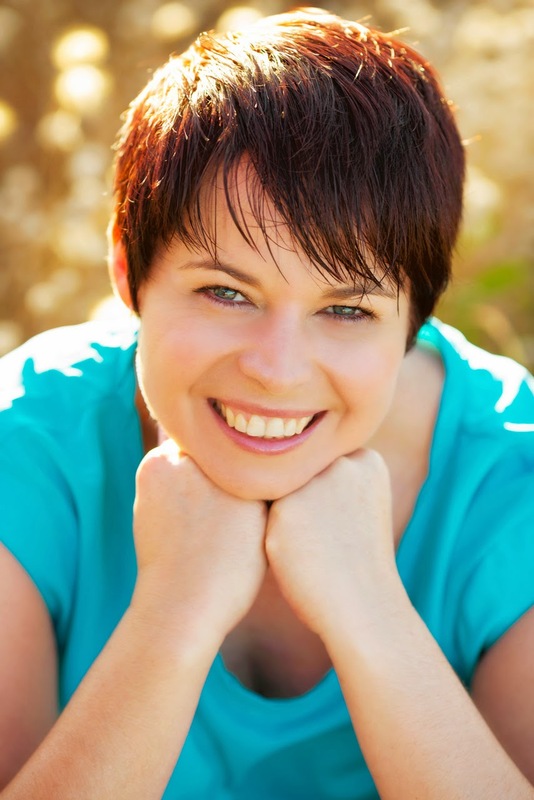 When she felt ready, she let herself remember Kathy’s words to Paul, and their laughter. The memory made Sarah sad and still made her cringe with embarrassment, but she realized that she didn’t feel quite as angry about it as she had. A snort came from below, and Sarah jumped. She’d forgotten the deer. Looking down, she saw that it had moved to the edge of the exposed granite and settled down on a soft patch of leaves. When the deer shook its head, Sarah laughed. Even though she knew it was probably batting away flies with its ears, the deer acted almost human. She glanced down at her watch and was shocked when she saw the time. She was going to have to run in order to make it home in time for supper. With a muted curse that she’d heard her father say when he hit his thumb with the hammer, she scrambled to her feet and looked around. Another bench ran down from the side of the boulder opposite where she’d come up and fell naturally into the one the deer had been on when she’d first seen it. For a day that had gone so badly, she thought as she ran, things had turned out to be okay. For a long time after the girl had gone, Owen stood on the edge of the pool, looking after her. 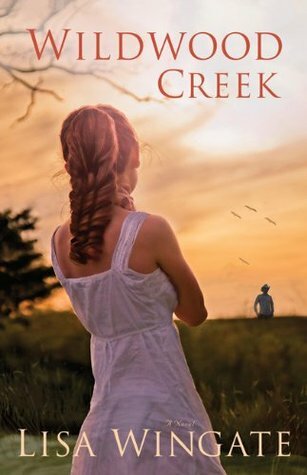 With his enhanced hearing, he could follow her progress down the trail and back onto Browning land. He didn’t know what to think. He’d never encountered another human in all the time he’d been exploring the woods. His parents had seen to that over the years; no one dared come onto Campbell property without his father’s permission. Now that the property belonged to Owen, he guessed he was the one who’d have to do something about trespassers. He bent his neck, taking another sip from the water. As the girl had guessed, it was cool and delightful. Owen sighed, a sound that came out in deer form much as it did when he was human. The pool was one of his favorite places to roam, one of his safe places. If the girl came back as she promised, he didn’t know what it would mean for him. He couldn’t risk being caught, and he wasn’t willing to give up his solitude. If the girl threatened that… he hated the thought of having to go to her parents, but if it came to that, he’d do it.